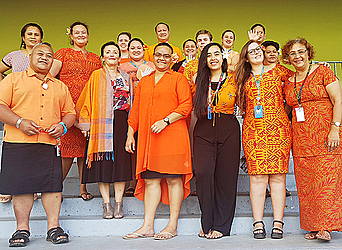 And once again the United Nations got dolled up in orange yesterday to remember work still to be done to end violence against women. U.N. Women’s Project UNiTE use the bright colour to raise awareness and create educational opportunities about struggles women face every day. Here in Samoa, the Country Program Director for U.N. Women, Papali’i Mele Maualaivao, is the brains behind the operation. Six years ago, her and her team at U.N. Women decided to mark Orange Day every month and engaged members of the public and private sectors to get on board. It has grown ever since. “We’ve had restaurants sell orange food or orange smoothies, shops putting their orange goods on sale, sports teams choosing to make their uniforms orange,” she says. Originally, the 25th of November was set aside as International Day for the Elimination of Violence against Women by U.N. Secretary General Ban Ki-Moon. But now the 25th of every month is Orange Day and calls upon everyone to take action to prevent and end violence against girls and women. Papali’i says orange was an obvious choice for the day. “We want people to keep talking about this topic and to raise awareness about it,” she says. Yesterday, the whole U.N. staff came to work in their finest. 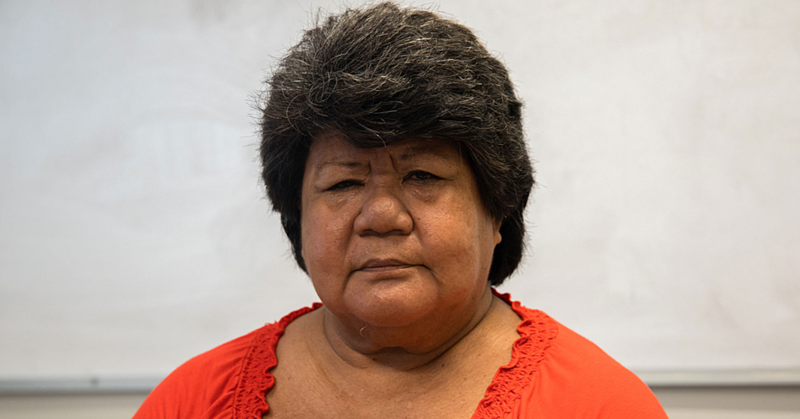 Papali’i says she is always pleased to see Orange Day awareness and participation span wider every year. “This year a local business approached me to ask what they could do,” she says. A Touch of Samoa had an Orange Day promotion and made sure to include a message of support in their advertising. Papali’i says that’s exactly the kind of thing businesses can do to participate in the project to end violence against women.